Mallow Primary Healthcare Public Health Nursing Service incorporates Public Health Nurses, Community Staff Nurses, CNM1 Nurse Co-ordinator assigned to Day Care Centre, Clinical Nurse Specialist Wound Care, Nurse Prescriber, School Public Health Nurse, Assistant Director Public Health Nursing, Home Help Co-ordinator and Administrative staff. The Nursing Service cares for clients throughout their life span in the home, clinic, school and community settings. 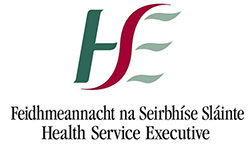 It includes Child Health and Family support services, Ante-Natal Classes, Breastfeeding Support Group, Care of Clients with acute or chronic Health Care issues, Wound Care Clinic, Health Promotion Clinic, Service to Individuals with Physical and Sensory Disabilities, Intellectual disabilities, Care of the Older Person, Terminally Ill and the Dying. The Public Health Nurse may be referred to the individual Client/Patient by hospital staff, General Practitioner, Family members, & an individual may self refer if they so wish. Following assessment of client’s need the following services/referrals may be provided: Nursing Care, Respite Care, Day Care Nursing, Home Help, Aids & Appliances, Continence Wear and Multidisciplinary Services. Direct contact can be made with the Public Health Nurse at Mallow Primary Healthcare Centre. 022-58700. Fax number: 022-58708.